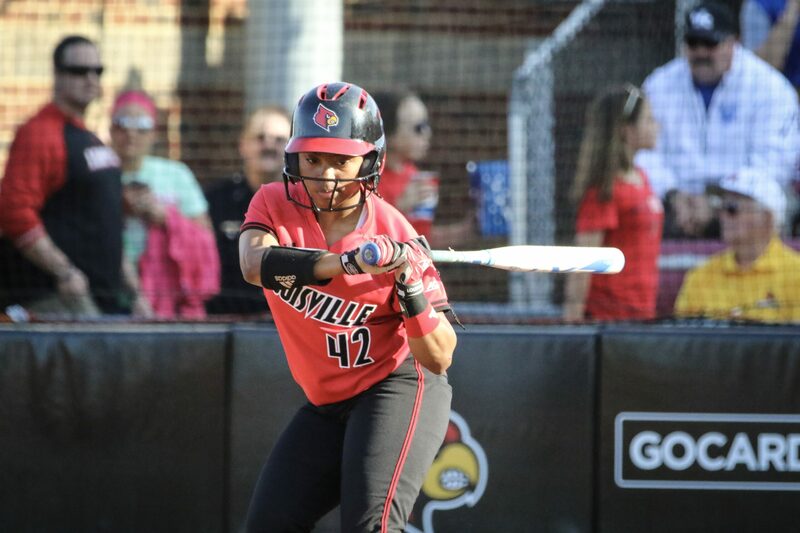 Striving for their 20th series win, softball was smothered 10-1 by rival Kentucky. The No. 21 Wildcats used two four-run innings and a shining defensive performance to tie the series at 19-19. Three of Louisville’s four errors allowed runs. Coach Sandy Pearsall said once they opened the flood gate for Kentucky, UK took advantage. In the top of the first inning, an error by Alison Szydlowski advanced UK runners to first and second base. A double-play with the bases loaded help keep the Cats to only one run. The next inning, Kentucky’s Brooklin Hinz stole second after a bobbled catch. Another error allowed Hinz to score one batter later, giving Kentucky a 2-0 lead. The Cats scored their third unearned run during the four-run third inning. Of Kentucky’s first six runs, half were allowed by errors. Hensley started the game for U of L and pitched two innings. The sophomore allowed two runs, one earned and one unearned. Becker replaced Hensley in the third inning and allowed back-to-back doubles. Kentucky ended the inning with four runs and Hensley returned in the fourth. Hensley allowed one hit between the fourth and fifth innings. Louisville recorded two hits and only one runner advanced to scoring position in the first four innings. Hensley tried her best to give the Cardinals CPR, roping a double to left-center in the bottom of the fifth. Jenna Jordan mirrored Hensley’s double and her RBI scored Louisville’s lone run. In the sixth, Louisville needed two runs to keep the game alive but couldn’t muster a base hit.